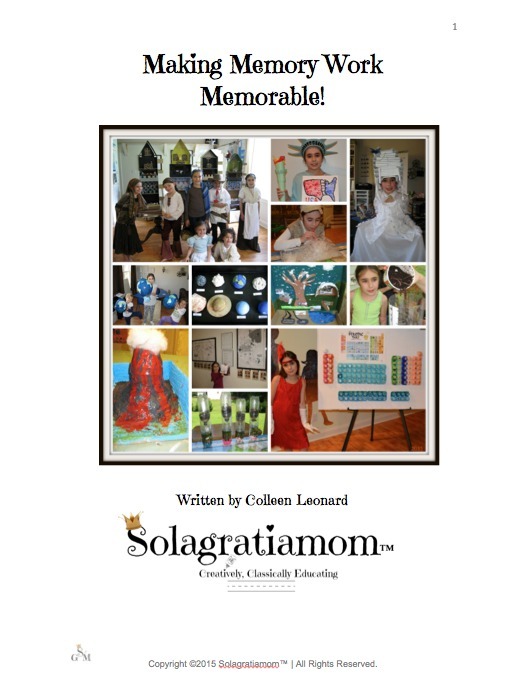 Solagratiamom: Blessing Friends for Easter! 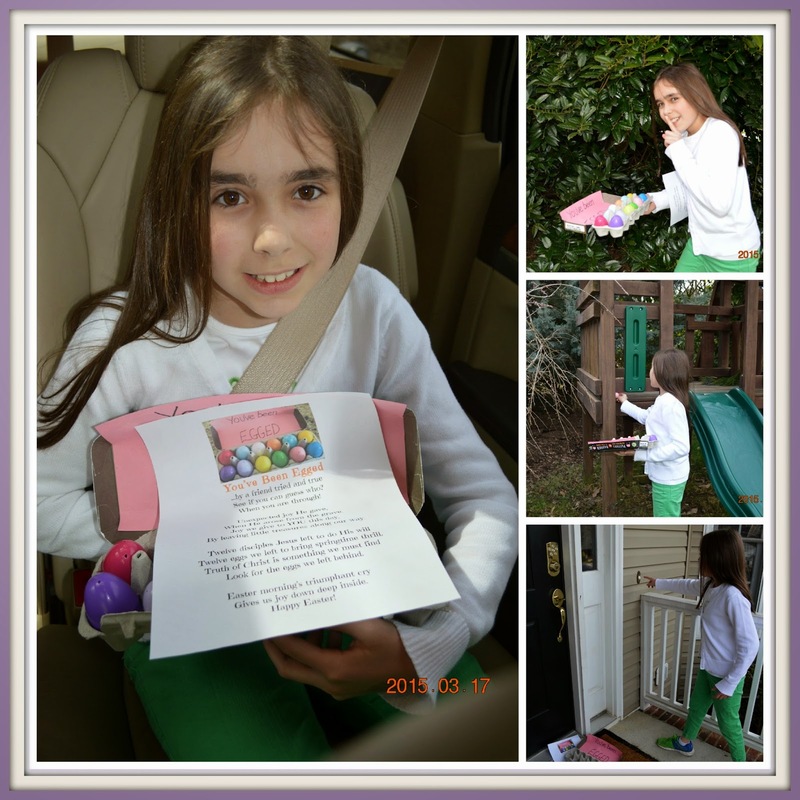 Each year we try to come up with something to do that is special for Easter. 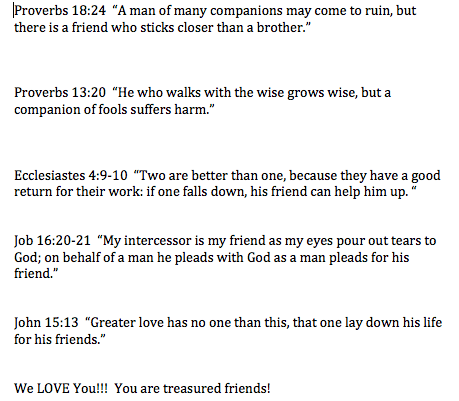 We did a hands on devotion last year, and a meaningful project the year before, so it was a year to bless someone. 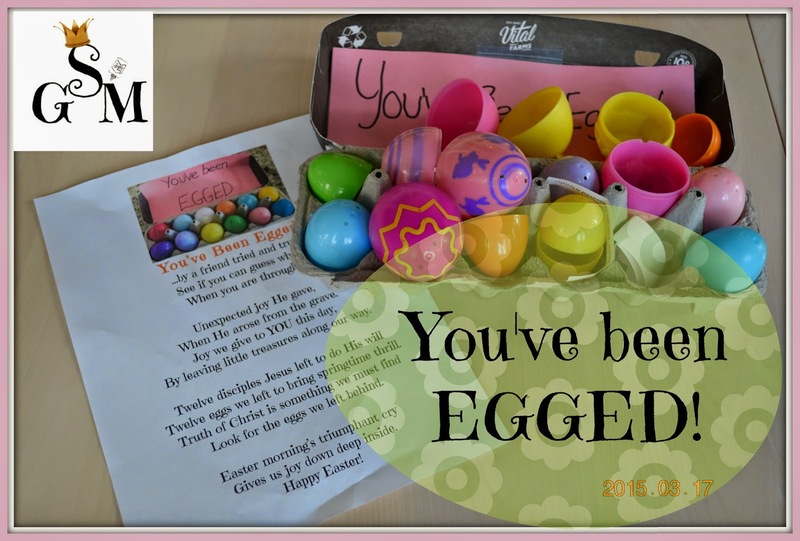 This year we decided to "egg" friends with blessings for Easter. So here's what we did, and there's still time for you to do it too! 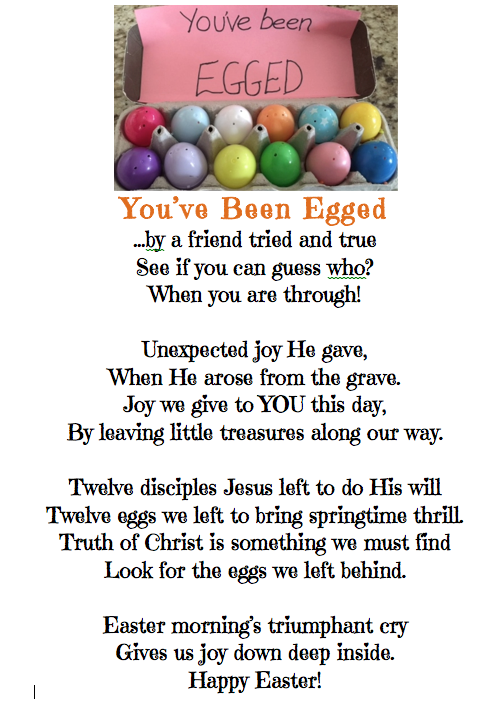 We filled a dozen empty plastic Easter eggs with some fun little "blessings" that would fit inside (Bible verses, punch balloons, stickers, balls, hair bows, headbands, yo-yo's etc.). Then we loaded up, and headed off to bless our first friends. We drove up and parked where our car wouldn't be seen. Then we quietly went around the yard hiding the eggs. Once they were all hidden, we rang the doorbell and ran to our car to drive away! 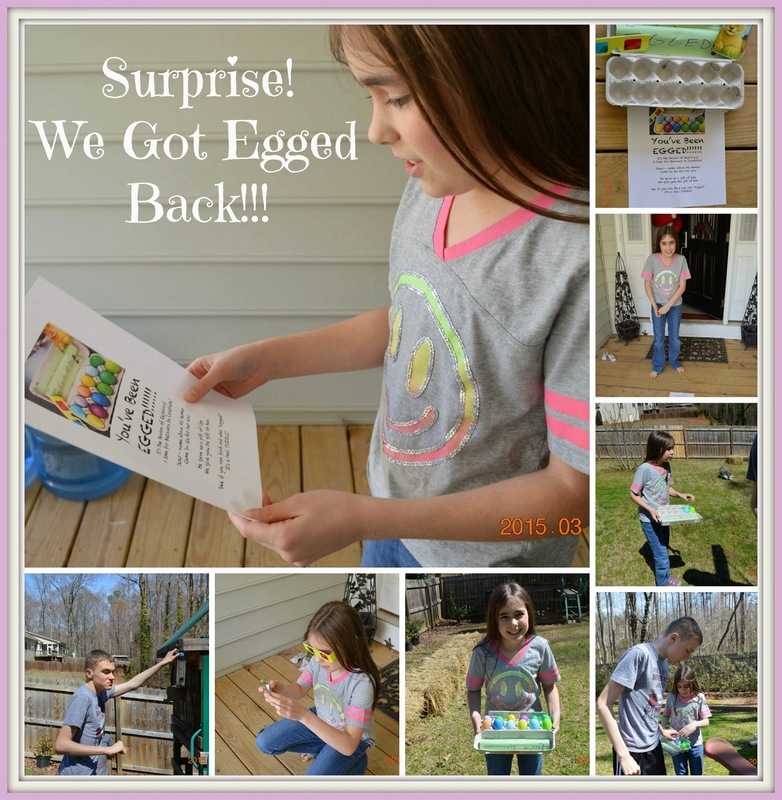 Our friends had to figure out who egged them, and find all the egg blessings that were scattered about the yard! Egg someone with blessings this weekend! Have a very blessed Easter holiday!